Among the examples of life-transformation through art, a particularly endearing one is that of Martinho da Vila. Beginning at the time when bossa nova was sweeping the scene of Brazilian popular music, this simpatico singer of sambas gradually established a firm hold on the affections of his audience. If at the beginning that was mainly the sambistas, soon he was reaching the middle class, and now after 45 years of career, he has an international following. His particular mix of good-humoured, laid-back singing over a very strong rhythm (not just samba) began in the 90s to include some of his children – who themselves moved afterwards from backing vocalists into solo careers. Martinho José Ferreira was born in 1938 in Duas Barras, which is a small town the other side of Nova Friburgo, in a region of old coffee plantations, “Casas de Fazenda”. His parents were rural workers, and he left there and came to Rio when he was only 4 years old. He was brought up in the Serra dos Pretos Forros, a hill whose name derives from the late 19th century. When slaves were manumitted, many of them went there to live. Today, ironically, the hill is penetrated by a tunnel of the Linha Amarela. He entered the Army where he qualified as a bookkeeper and accountant, attaining the rank of sergeant. In 1967 (when he was 29) he had his first hit, Menina Moça, at the III Festival of TV Record in São Paulo; the following year he brought out Casa de Bamba, an album with huge single hits such as O Pequeno Burguês, Pra Que Dinheiro http://www.youtube.com/watch?v=OSM3DvX5YV0 and Quem é do Mar Não Enjoa. Soon after he left the Army because he already had music as his chosen profession. Many of these early songs already show his hallmarks – samba rhythm laid down by the cavaquinho and pandeiro, very simple chords, with phrases from his voice repeated in echo by female backing vocalists. What makes him delightful is the good humour of the words, the easy resonance of the low notes, the excitement when he throws his voice upwards – and of course the amazing facility in singing the words on top of the rhythm. Samba to make anyone dance with a smiling face! This was still in the days of LPs (vinyl) and big recording studios, when a successful album could bring a lot of income. Martinho had best selling LPs Martinho da Vila (1969), Memórias de um Sargento de Milícias (1971), Canta Canta, minha Gente (1974) and his never-ending creativity is represented by over 50 albums, more than one per year! During this time, widely known and highly regarded, he went back to his native Duas Barras for a festival in his honour organized by the Prefeitura – and discovered the Fazenda where he was born was up for sale. So he bought it! Now he calls it “My Off-Rio”. The “da Vila” refers to Vila Isabel, a district of Rio’s Tijuca bairro, which starts at UERJ and runs out westwards, either side of the Boulevard 28 de Setembro. This district has always been associated with freedom from slavery and the names there are full of references – Princess Isabel signed the “Lei do Ventre Livre” on 28th September 1871 which made all children of slaves free as from that date, before finally abolishing slavery in Brazil by the “Lei Áurea” on 13th May 1888. (Now you know why these dates are street names all over Brazil!) Since the early 1900s, Vila Isabel has been famous for its poets, composers, and bohemian lifestyle. 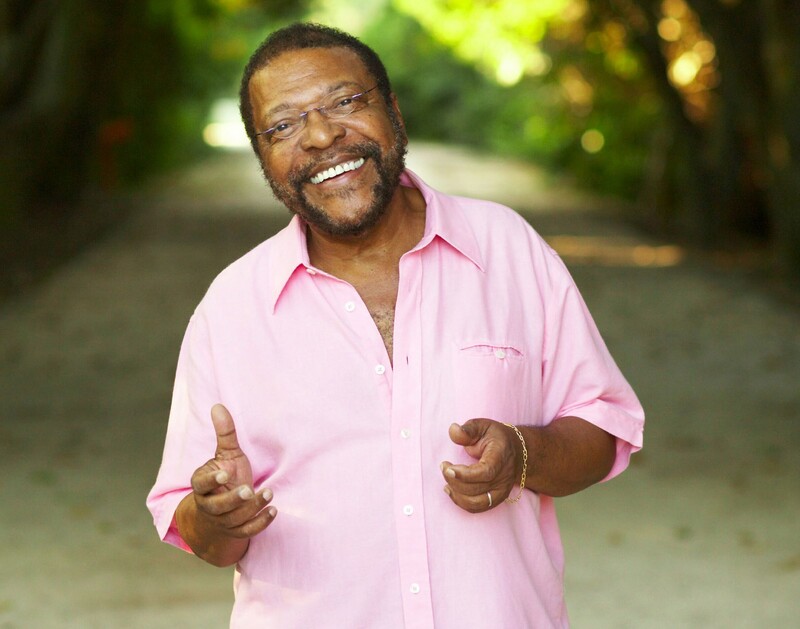 Perhaps its most famous resident is Martinho da Vila, who has made huge contributions through the years to the Samba School Unidas de Vila Isabel. The school won Carnaval in 1988 with Martinho’s samba-enredo Kizombo, Festa de Raça – just on the Centenary of Abolition! He also, for 9 years, ran the Butiquim do Martinho in Vila Isabel, where you could always find a group of artists playing Samba – “a place where the lonely could feel at home accompanied by their beers, knowing there is nothing better than a friend in the bar – where you just talk about women, football, samba and politics, and relax, because nobody goes to a boteco to get hot-headed…” (words by Martinho himself). The CD of Martinho 3.0 Turbinado ao Vivo is a 1999 recording of Martinho’s shows at that time – 9 backing musicians plus 3 backing vocalists – his daughters Analimar, Mart’nalia and Juliana. He shows live how his samba-based repertoire has widened to other rhythms, and the words have become richer! That the trio of daughters can sing in harmony with the greatest of ease has a simple explanation: according to Analimar, “Since we heard everything in our bedroom next door, we already knew everything by heart.” A son, Tunico Ferreira, is a percussionist and composer, and another daughter, Maíra Freitas, plays classical piano, choro and samba, and sings with a lovely melodious voice, while transmitting modesty and good fun – now where did that come from? This entry was posted on Saturday, October 20th, 2012 at 11:02 am	and is filed under Brazilian Music. You can follow any responses to this entry through the RSS 2.0 feed. Both comments and pings are currently closed. Entries (RSS) and Comments (RSS). 22 queries. 0.192 seconds.